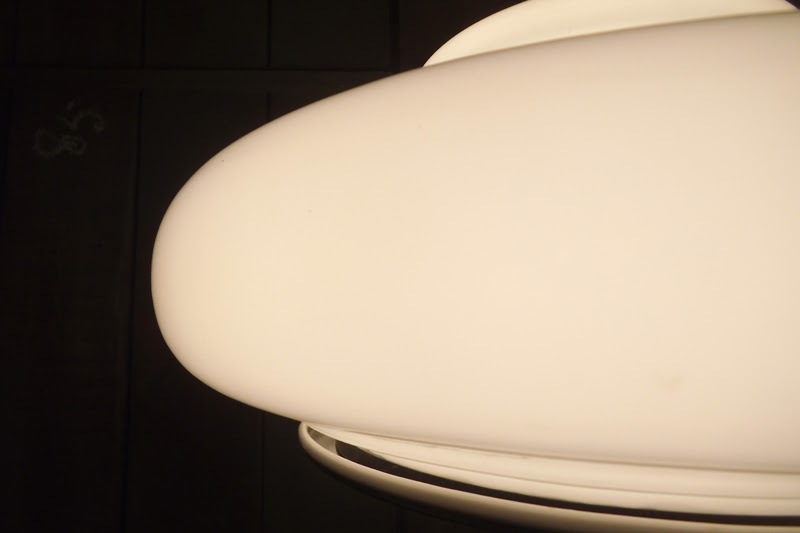 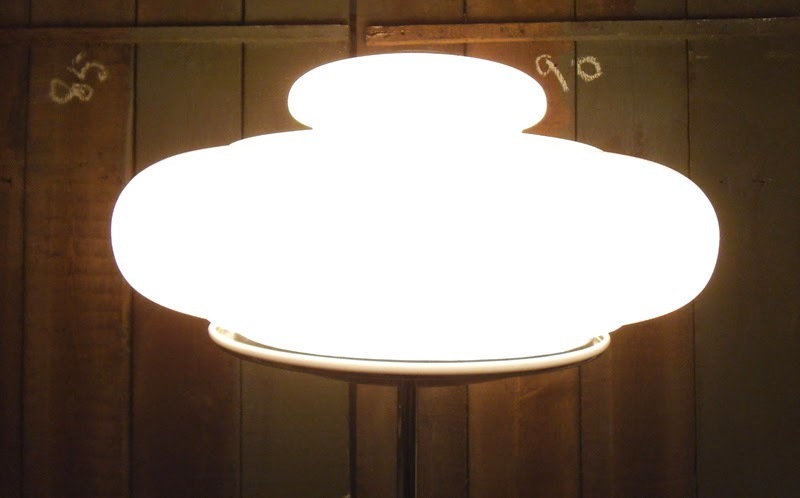 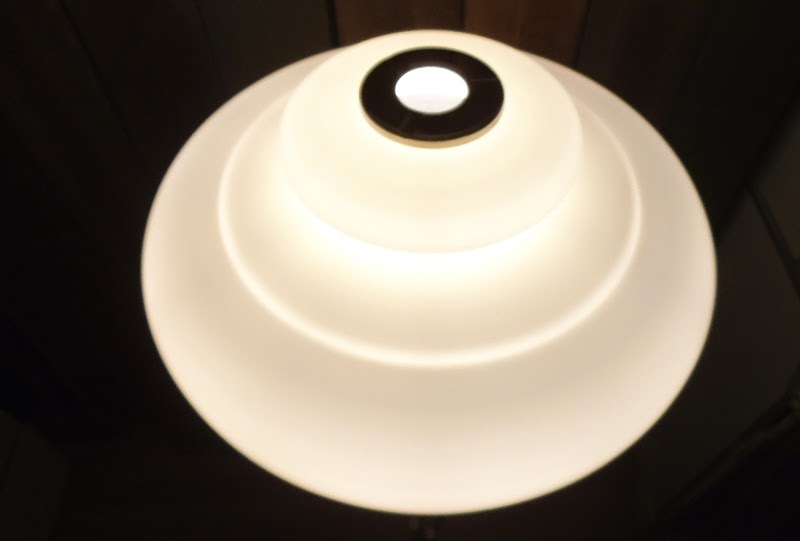 I got this beautiful vintage milk glass lamp shade not a long ago, but when I tried to make it into a pendant light I realised that, as it was unevenly thick, it looked croocked. 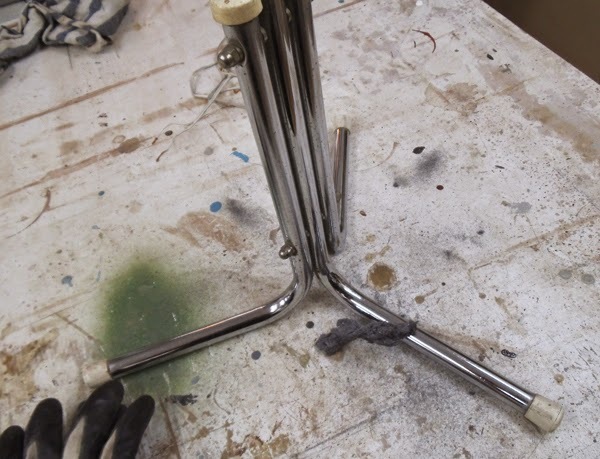 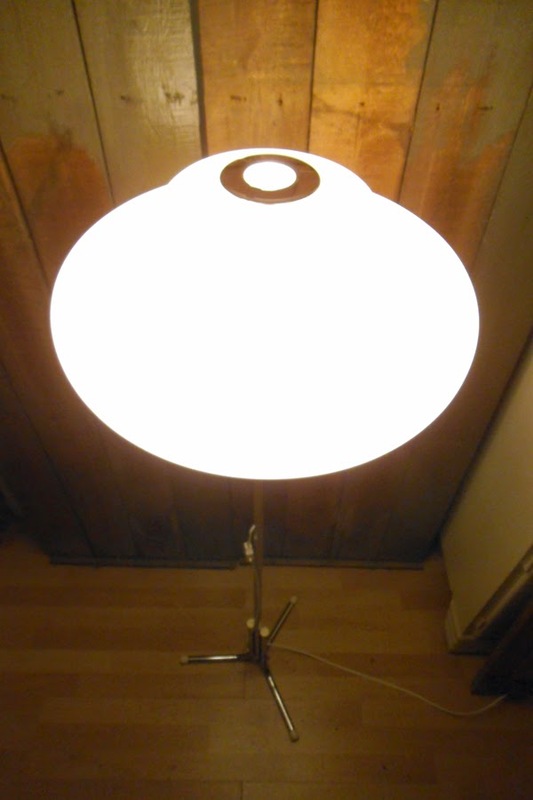 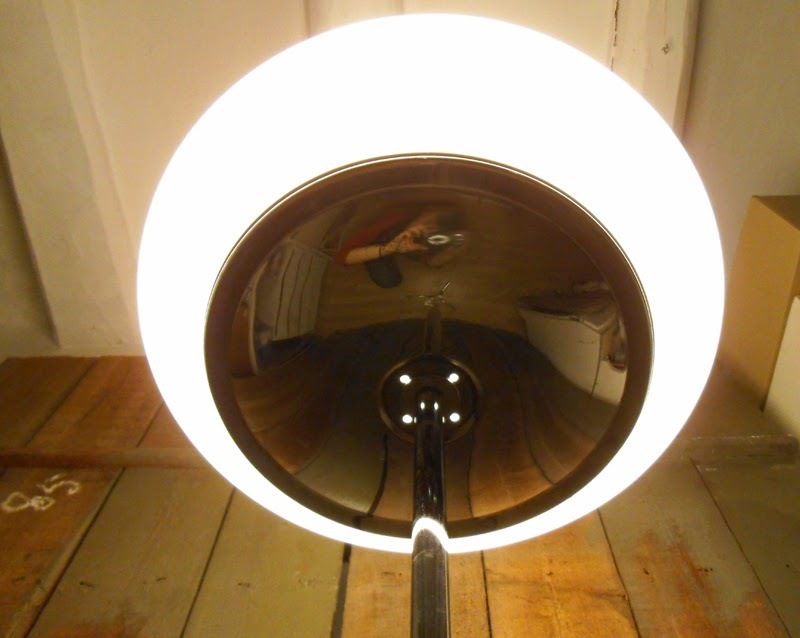 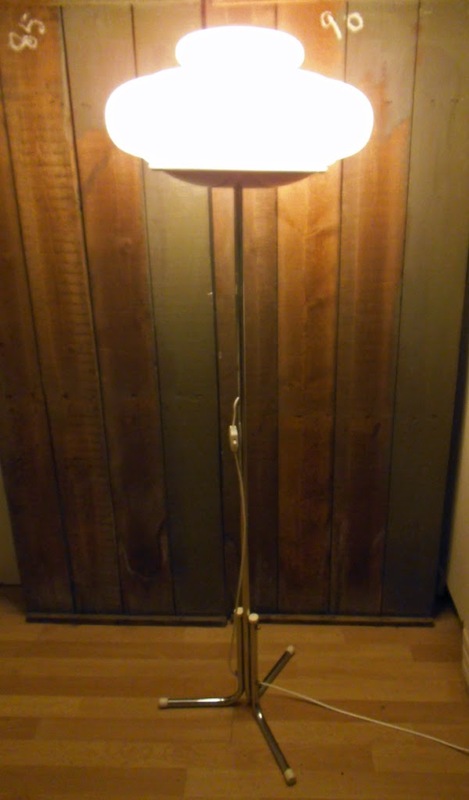 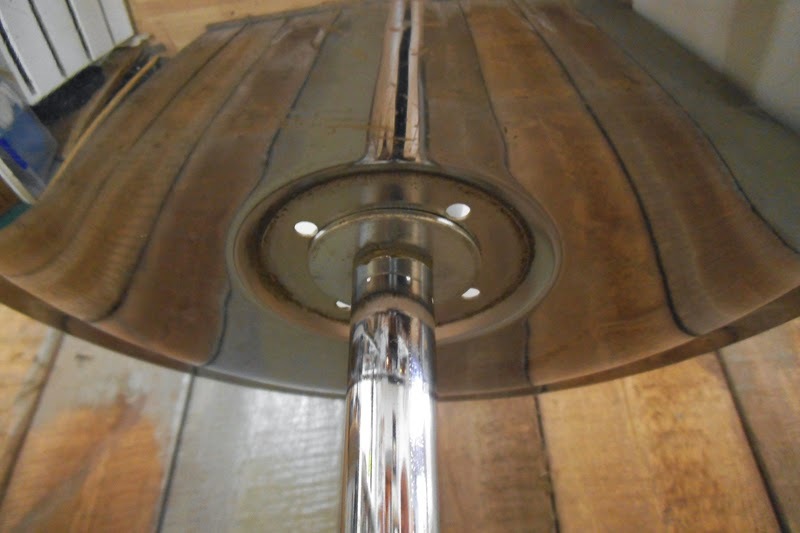 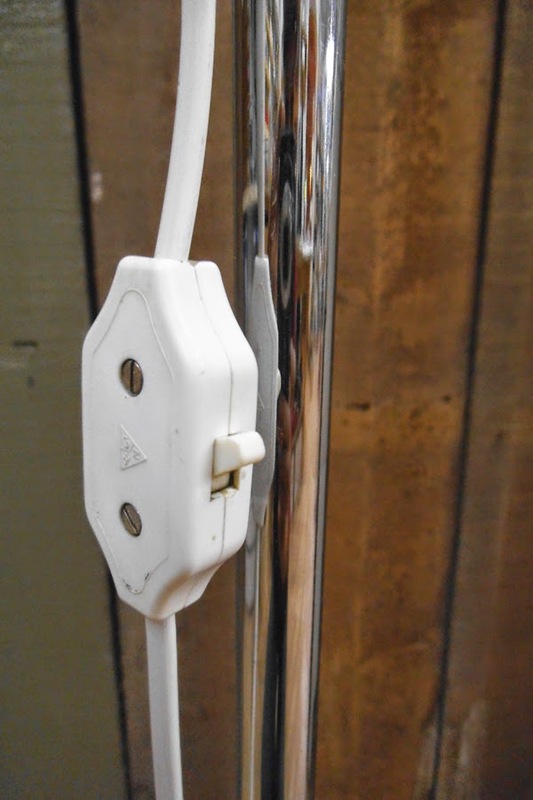 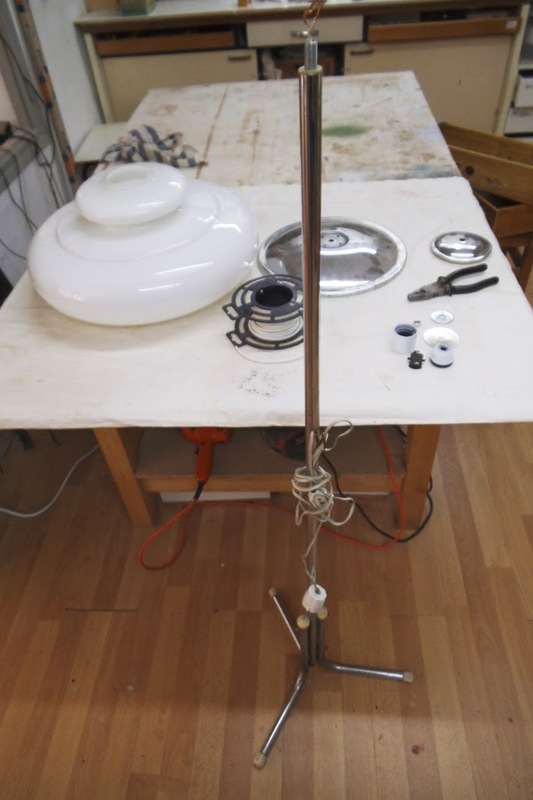 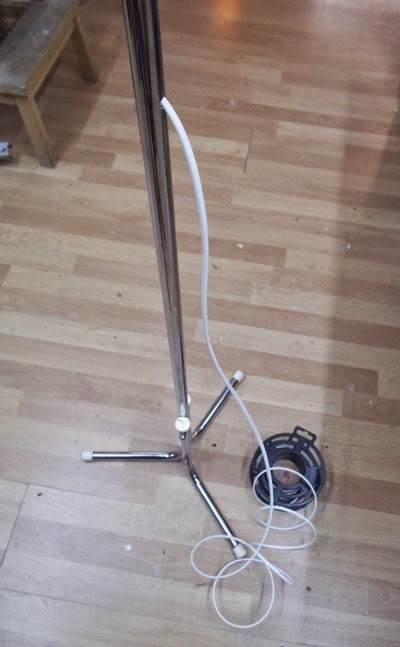 All for the best, I decided to go a step fordward and use it to make a floor lamp! 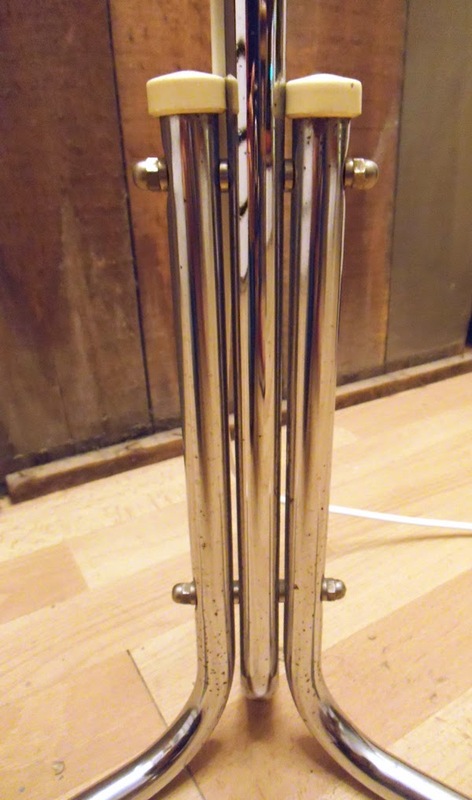 The vintage chrome pole with a nice three-legs design matched more than fine with it, I just had to find an appropiate 'tray' to rest the heavy shade on top and add a few other sleek details to complete the elegant, 70's look combo. 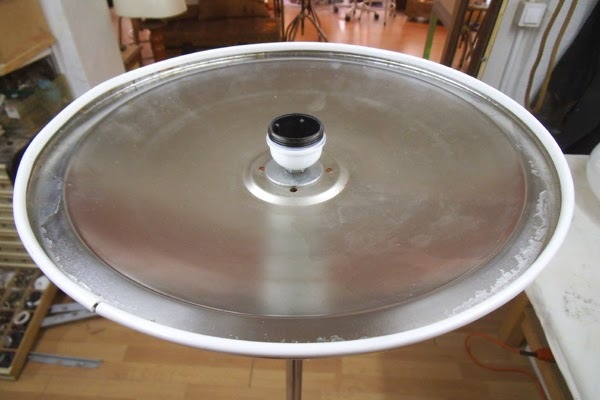 Measures: total height 150cm, feet 40cm wide, shade 20cm high, 44cm diameter at its widest point. 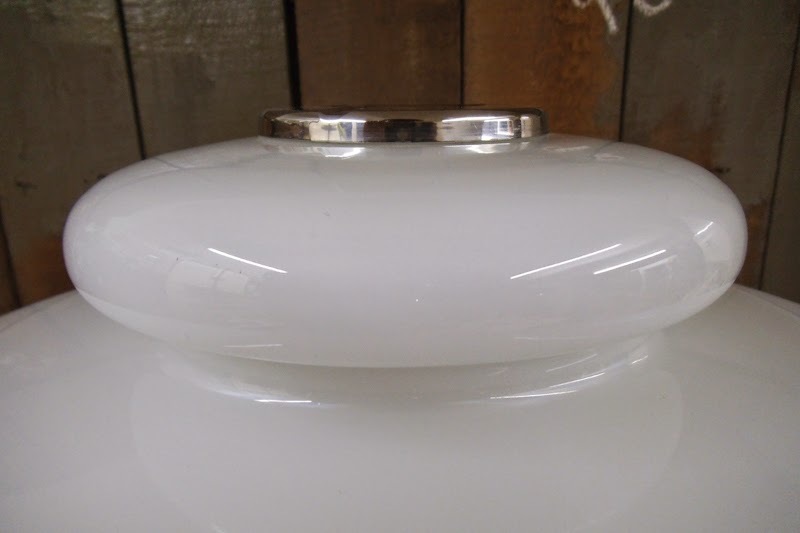 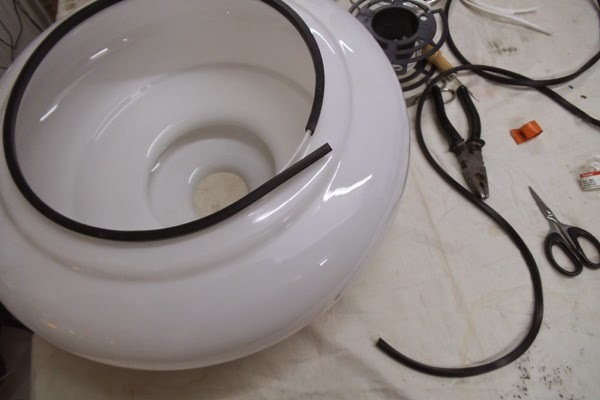 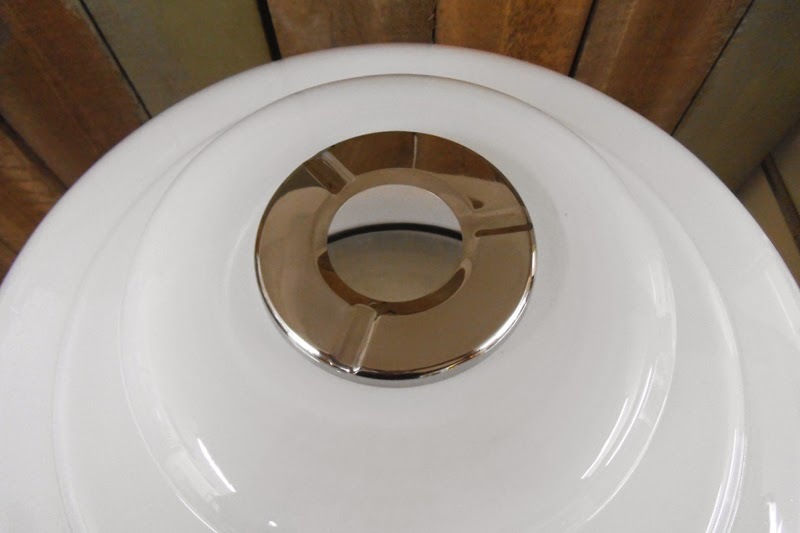 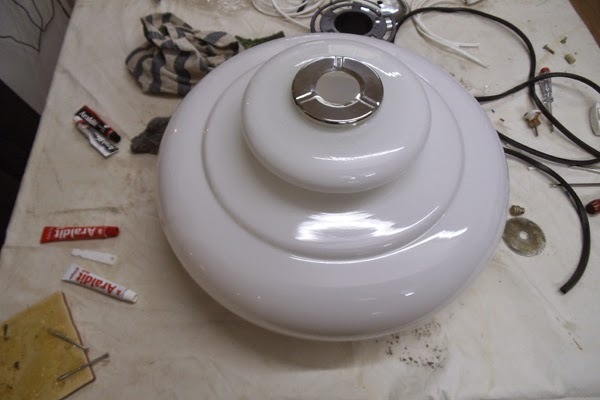 Adding a rubber trim to the bottom of the milk glass shade to prevent it from moving. 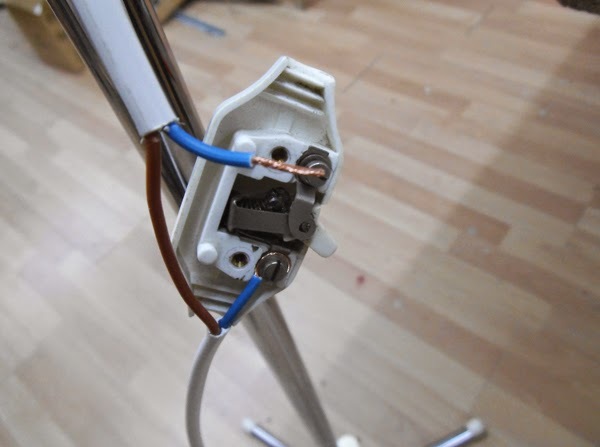 Wiring the lamp. 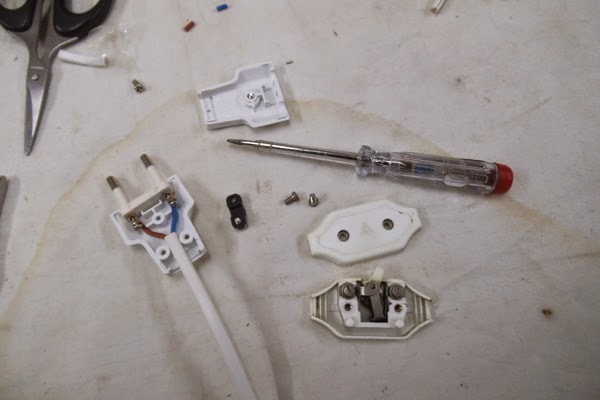 Finally, wiring the socket and the vintage switch.